When a prospect encounters your brand online for the first time, you want them to trust you. Trust increases the probability of capturing their contact information and converting them into a lead. So how do you establish trust with a prospect before they decide to give you their contact information? When it comes to online prospects, there’s the “know-like-trust” process. For a prospect to convert into a lead, they need to know you first, then they like you, then trust you, then work with you. 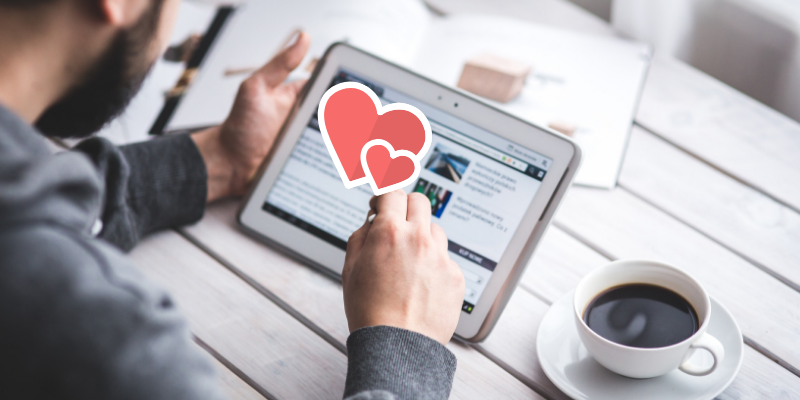 In this article, we will examine 4 ways you can use your online presence to make your prospects love in love with you, earn their trust, and convert them into leads. We will look at social media authority, showing off your accolades, sharing your testimonials, and videos! A real estate agent needs to have at least one developed social media page. A developed social media account, should have more than 100 fans, post relevant content consistently, have an updated headshot, and clearly displayed contact information. Add all your social media networks to your website so prospects can easily navigate to them and find the information they’re looking for. A prospect can also view your engagement and the conversations that you have with others, your engagement with others will indicate your responsiveness, knowledge of the local market, and personality. You might not have any real estate accolades if you’re a rookie agent, but you do have life accolades. Have you earned any awards, received special recognition, won a competition, or held a leadership position at an organization? Think outside the box! If you were captain of a sports team, employee of the month, or won a marathon – these are accolades that prove you’re the best at what you do and should be added to your website and social media platforms. Consumer purchasing behaviors have changed due to the increased accessibility to the internet, making testimonials an important factor when deciding to buy. Your testimonials will showcase your ability to work with others, the positive effects of working with you, and provide validation when a prospect decides to give you their contact information. If they like your testimonials, they’ like you, and that’s the first step on the road to getting them to trust you. You can make online prospects fall in love with you and convert them into leads by augmenting your social media page to increase its authority. Prospects can get to know you, like you, and trust you by adding your accolades, testimonials, and a video biography to your website. As an added bonus - share these website pages to your social media page to drive traffic to your website!